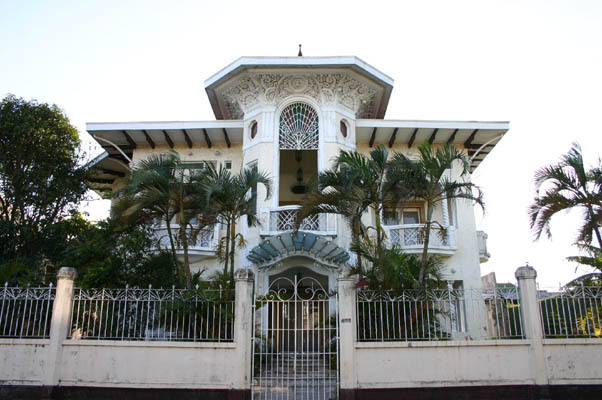 This NHI - declared Heritage House situated in a property astride two streets was designed in the Art Deco style by National Artist for Architecture Juan Nakpil and built in 1935 by its owner Dr. Isidro Rodriguez. It has two receiving rooms, several bedrooms, two dining halls, a prayer room, an intricately designed veranda, and a terrace at the back overlooking a large swimming pool and a private garden with a gazebo. Aside from its fixtures of American and European origins are Puyat crafted wooden furniture, exquisite table wares, a large wall mirror, a 19th century grand piano and even a vintage wooden radio. However, visitors are charmed even more by the stories tied to this beautiful residence, most especially those that happened in wartime Sariaya concerning Carmen, Dr. Isidro�s beautiful daughter, that is one of the highlights of a guided tour that never failed to give a comprehensive glimpse of life in Old Sariaya.